While we are not vegetarians, on occasion we do cut meat out of our meals. This vegetarian recipe is a favourite of ours. It is not only healthy, but also quick, easy, affordable and can be made in large quantities and stored for the week. 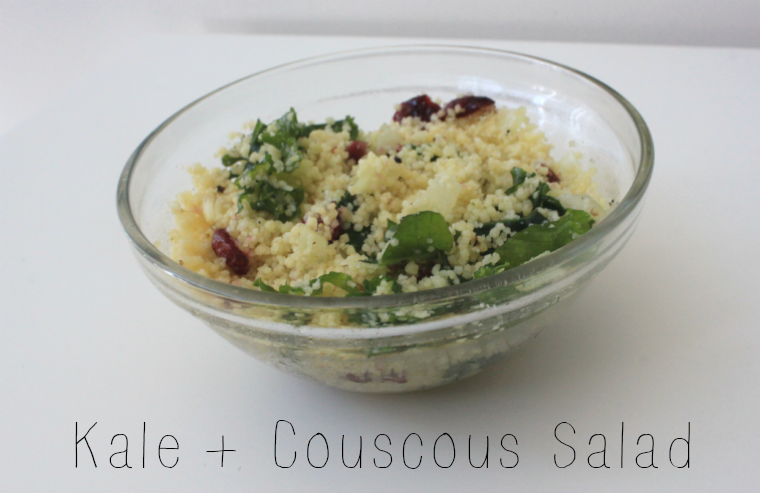 Like kale, couscous has become a staple in our house because it cooks in the blink of an eye and is foolproof. This salad's flavour is light and refreshing, making it the perfect addition to any lunch or dinner. Cook couscous: In a small pot, bring 1 cup water or stock to a boil, over high heat. Remove the pot from the heat and stir in the couscous. Cover and let sit for 10 minutes. If the couscous has not absorbed all of the liquid, let sit for a little longer. Gently fluff the cooked couscous with a fork. While couscous is cooking, wash kale and pat dry. Derib and shred. Once couscous is cooked, allow to cool slightly. Add chopped kale, cranberries, almonds and onions. Toss with olive oil and freshly squeezed lemon juice. Add salt and pepper, to taste. Stir to combine. Chill until ready to serve. Keeps (covered) in the fridge for up to 5 days. Like I said, so simple. 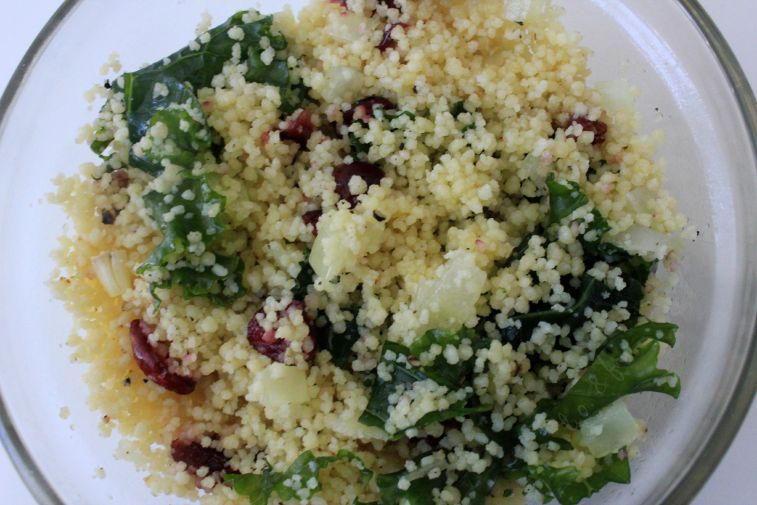 Ingredients can be adjusted to taste, based on the quantity of couscous prepared. yum yum yum! I love both of those! You should definitely try it, it's delicious and simple!